Fall is here and we’re deep into school lunch season! I’m doing my best not to fall into a lunch box rut. My weekly meal plan includes a lunch box menu that’s as fun for the kids to eat as it is for me to make (not to mention healthy and delicious!). 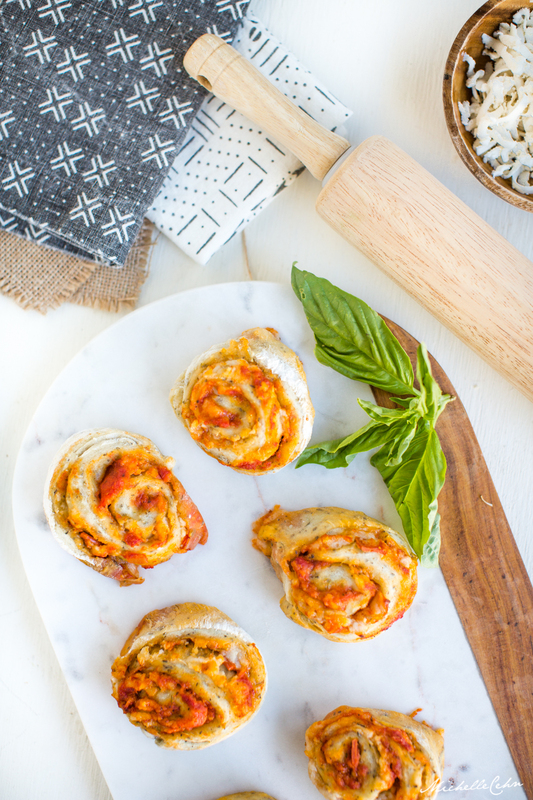 These Pizza Roll-Ups have quickly become a favorite on the menu. I made them on a whim and now my kids are asking for them every week! With just 4 ingredients, these are simple enough to prep while making dinner the night before, or make a big batch on the weekend and reheat (pack in thermoses) the morning you are packing. I used olives (a favorite in our house) and Michelle has used Lightlife’s vegan pepperoni but have fun with the toppings and add whatever you or your kids like! 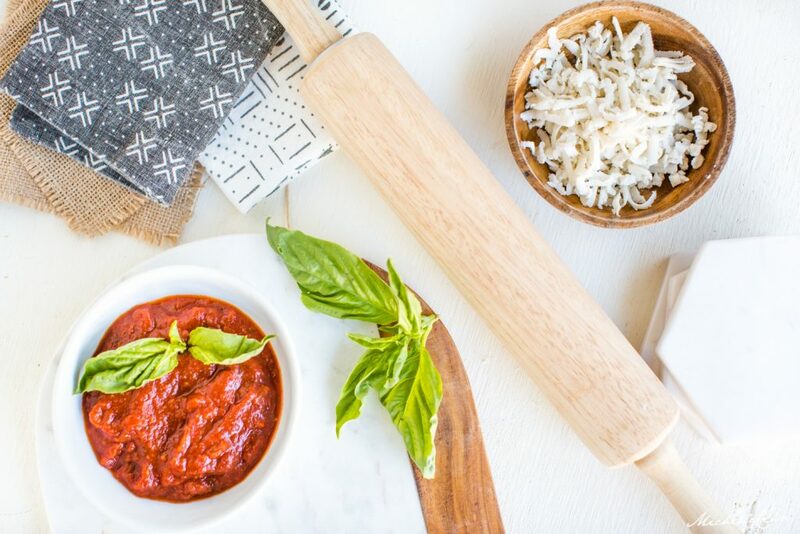 Be sure to serve with more marinara or pizza sauce on the side for delicious dipping. 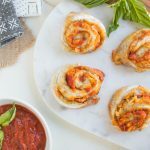 These delicious vegan pizza rolls will be a big hit with kiddos everywhere! Spread the pizza sauce over the crust, leaving a 1-inch border around the edge of the circle. Sprinkle with shredded vegan mozzarella and top with sliced olives. Bake for 10 minutes, or until cooked all the way through. You can find pre-made vegan pizza dough in the refrigerated section of many grocery stores (such as Trader Joe’s and Whole Foods) or you can make your own. 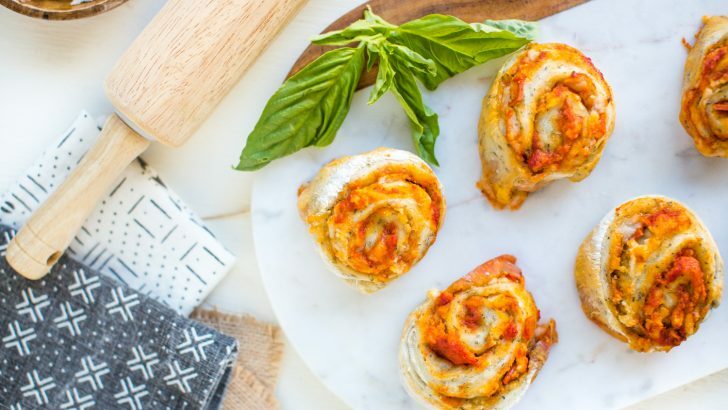 The pictured pizza rolls were made using the Trader Joe’s Garlic & Herb pizza dough, Trader Joe’s pizza sauce (found in a tub in the refrigerated section), Miyoko’s vegan mozzarella cheese, and Yves vegan pepperoni slices (sliced into small pieces). For more family-friendly vegan tips and recipes from Stephanie Dreyer, subscribe to her newsletter here. 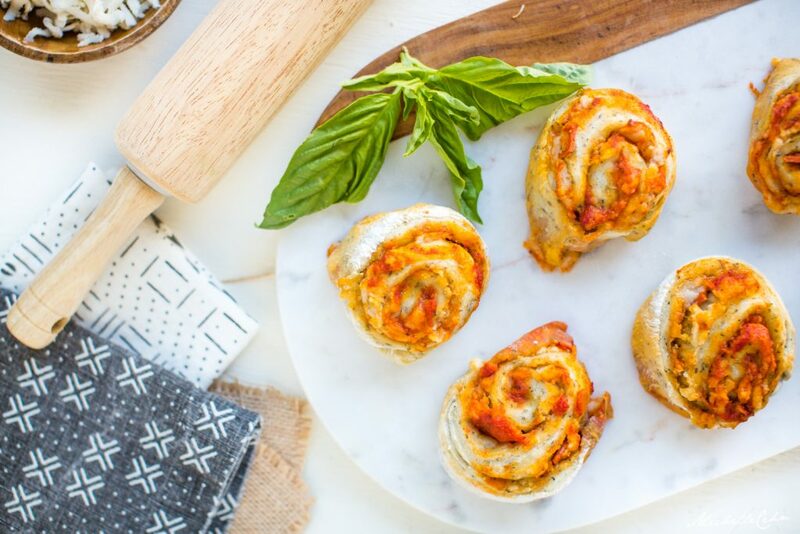 Pizza roll photos by Michelle Cehn.